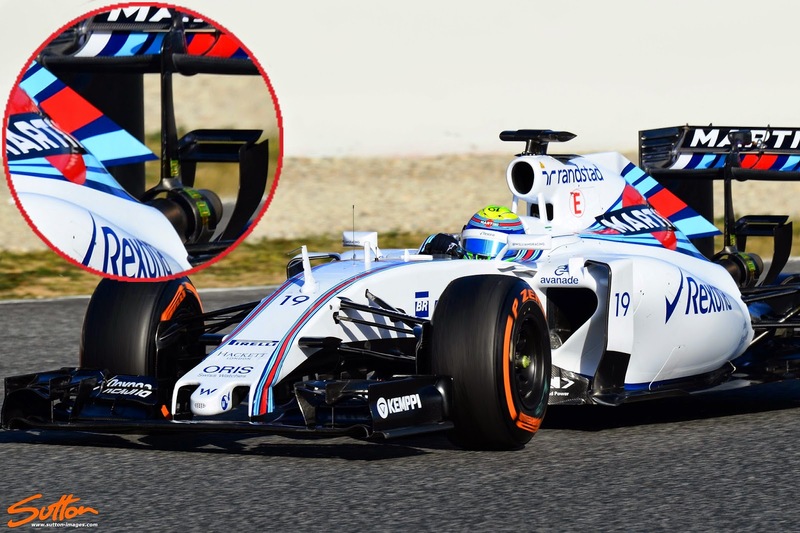 Williams had up until now been the exception to the rule on the grid, as their rear wing remained pylon-less up until this test. 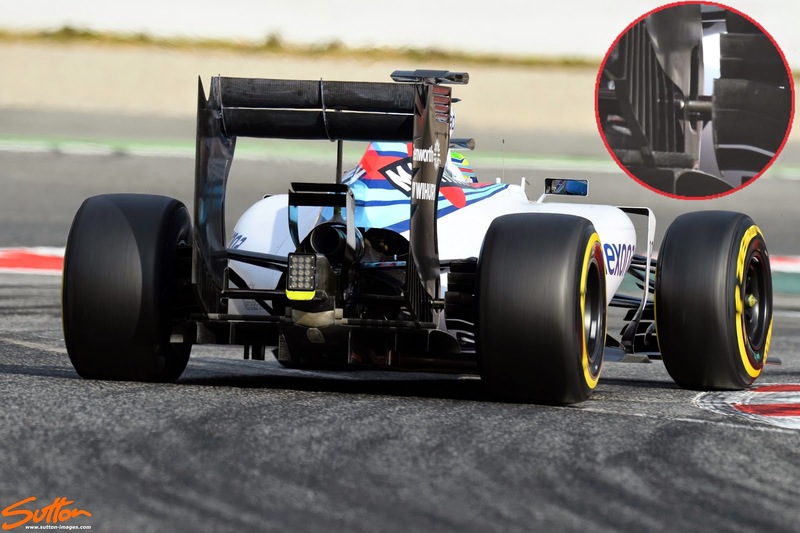 The team have a totally re-designed rear wing here in Barcelona though, as many of the features that meant it didn't run a pylon can be traded off in the re-design. The pylon is an inverted Y-Lon, mounted to the crash structure it adds rigidity to the rear wing, whilst circling the exhaust. 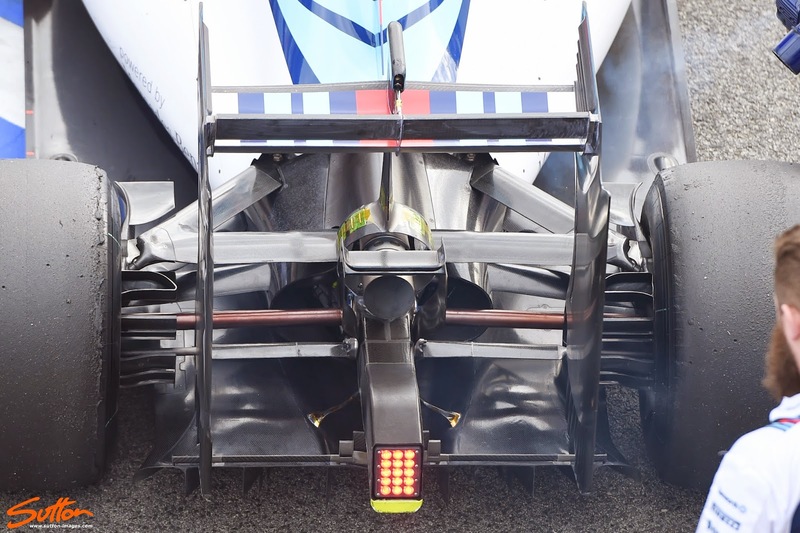 The exhaust plume will likely interact with this section and pull airflow through it (like an aspirator) assisting in cooling the rear of the FW37. The upper section of the Y-Lon has a swan neck style design, which connects with the DRS actuator pod, leaving the underside of the mainplane less affected by its wake. 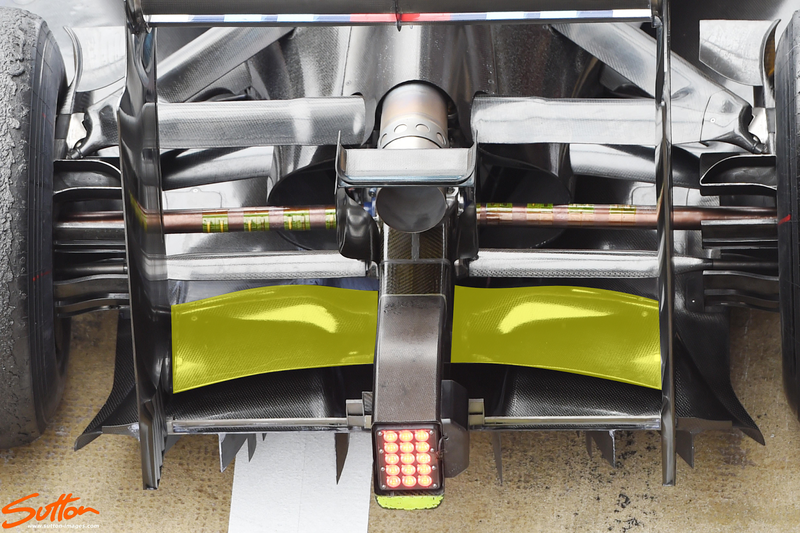 The rigidity added by the Y-Lon means the team no longer need to run the floor level wing they ran during 2014 (above, yellow), giving them more scope in terms of diffuser design. As we can see in the inset above, the team have either opted to change the length of the endplates and/or the suspension layout, as the lower rear suspension elements now pass through the endplate. 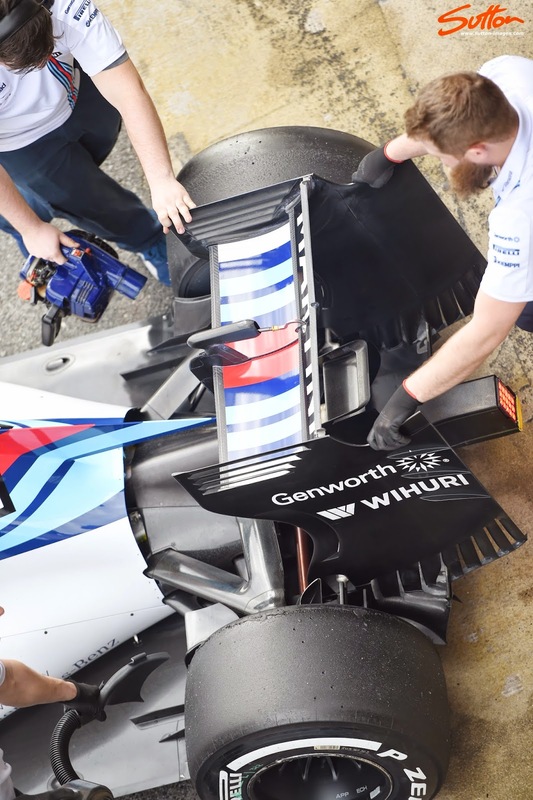 The teams overall change in tact to change the rigidity of the rear wing will mean that they can make shape/geometry/weight changes to the endplates going forward, that may not have been possible with their previous specification.